At last count, over 100 cars have been accepted into the 24th modern Pan Am event This year. According to Eduardo “Lalo” Leon, the Organizer of the race, 45 cars remain on the wait list. Why the great influx in participation in recent years? It’s primarily due to a huge increase in Mexican entries, plus a smaller increase from Europe. Entries from the U.S. and Canada (44 applications, 38 accepted) are down from their high of 54 entries in 2005, probably because of the bad press Mexico gets in the U.S. and the overall economy, plus the pressure from Mexican hopefuls. Mustang-Falcons and Porsche 911s will dominate the event numerically this year. At last count there are 22-24 Mustang-Falcons and 15-17 Porsche 911s registered. Over one-third of all entries will be these models. Oh, where did all the Chevys go? Fortunately, there are three or four midyear Corvettes enrolled, plus one funky blue Chevy II Nova 400 and perhaps, a Chevelle. Sadly, one of the three ’55 Chrysler 300s being prepared by Mr. Kevin Kelly in North Carolina had to drop out. But the entry list includes four VWs running in Exhibition and Hayden Groendyke’s beautiful ’49 Cadillac, sporting a “built” Corvette 427 under the bonnet. Stafford Galen and Kaminc Ko will represent Mopar enthusiasts in a ’65 Dart that made a big impression on the track in Aguascalientes last year. The car will also pay special tribute to Loyal “Tio” Truesdale, reputedly one of the founders of the Pan Am and long-time guru for American racers. Truesdale passed away a year ago, and will be remembered as one of the great raconteurs of all time. Competitors to watch? Aficionados are eagerly awaiting the rematch between los norteamericanos Taz Harvey and Rudy Vajak in their Datsun 510, against Martin Lauder and his ace co-driver/mechanico Conrad Stevenson in a Alfa sedan, a.k.a. ”Taxi Perdido,” in Historic A+. Last year the two cars were only seconds apart on most speed stages. After giving up 20 minutes the first day, Harvey was faster three of the following six days and tied Lauber-Stevenson one day. At the end, Harvey finished only 4 minutes behind the Taxi. Lauber was first in class and 8th overall. This year, expect to see two of the Historic A+ cars in the top ten. Not bad for under 2000 c.c. Overall winner this year? The favorite is Michel Jordain, Jr. (Mexico), the LCP runner up in 2010 and victor in the Chihuahua Express last April. 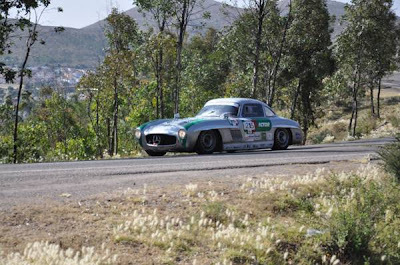 Jordain’s Studebaker will be prepared by Mats Hammarlund Racing, whose cars have won the last two Carreras and the recent Patrio Rally. Doug Mockett and Angelica Fuentes in their ’54 “Oldsmobile” will be strong challengers. There are several other Mexican crews capable of pulling off an upset, including the Pimentel boys. In the huge Historic C class, The Pony Car Derby, look for former F1 driver Jochen Mass, driving a non-FIA Mustang, to lead the herd of ‘Stangs to victory, if Ralph Christensson falters in his Rally Falcon. Of course, there may be a sleeper among the Corvettes, and Bill Shanahan should return to the top ten in his well-prepared FIA Rally Falcon. As noted above, about one-third of this year’s entries are Ford Mustang-Falcons and Porsche 911/912s. Given this situation, the Organizing Committee is encouraging future competitors to select a different brand of automobile to ensure diversity and increase spectator interest. The new Historic A+ class should be of interest to potential rookies. It includes all four-cylinder sports cars and sedans made from 1965-1972 with engines of up to 2 liters. Cars made after 1972, which offer no mechanical advantage over the ‘72 model may participate. These cars may use a modern engine of up to 1600 cc. Right now, the class enrolls mostly Volvos, Alfas, Datsun 510s, and two Porsche 914s, one driven by Carrera book author Johnny Tipler and his beautiful and skilled co-driver Sarah Bennett-Baggs. What to earn a trophy by just finishing? Enter Sports Mayor and Sports Menor. Given the fact that there are only three or four cars in each class, there’s a good chance if you just finish the race, you will be on the podium. Some replicas are accepted in each class, too. The Organizers also like the Datsun Z cars and have amended the rules to allow them to participate in Historic B. Two are entered this year. OPA cars may use disc brakes, dual master cylinders, 12 volt electronics, modern ignitions, and aluminum radiators/updated cooling systems. The Organizers want these cars to be dependable, safe, and fast enough to keep up with the pack. The gap between OPA and Historic C is a becoming a little blurry. In this class a ’54 Ford V8 with manual transmission and overdrive--think six speeds--seems to be the pick of the class. Other popular cars include: ’54 Lincolns, ‘54 Studebakers, ’54 Olds, and ’54 Hudsons. Because the moving parts of engines in the Pan Am are “free,” some of these older engines produce significantly more power than they did in 1954. Unfortunately, most of these cars were not available in ’54 with manual transmissions, so some drivers have a problem finding an automatic box that will perform well in the mountains of Mexico and survive the heat for seven punishing days. Personally, I would like to see a Nash with a big straight six run the event, like the car used by NASCAR founder Bill France and Curtis Turner, NASCAR piloto, back in the ‘50s. There’s a rumor that someone is building such a car in Northern California. And where is that “fabulous” Hudson Hornet that was supposed to return to Mexico!? Like Bobby Johnson once said, “we need more of these original cars to restore the Pan Am as a true vintage event, and not just a race dominated by hot rods that only look old. In fact some have argued that the rules should be altered to allow more entries from the large number of historic cars racing in vintage leagues in the U.S. The next Express is scheduled for March 23-25, 2012, Chihuahua City, Mexico. It will three days of exciting racing over 1000 miles of paved, excellent roads, with about 300 miles of speed stages. The registration fee is $2400 USD, but there will a discount if paid before December 1. Accommodations at the luxury Soberano Hotel are extra. The event is open to modern and classic cars. Pan Am cars will race in their respective classes. Don’t want to put a six-point cage in your C Jag or Maybach? OK, you may also enroll in the regularity (TSD) rally, bracket racing, or the Express Tour for a much lower fee. All things considered, this event is clearly more bang for your buck. Driving these roads, across these impressive landscapes at any decent speed, is just plain fun. If you are interested, please request the three-page brochure about the Express by hitting the reply button, and go to the official web site, www.chihuahuaexpress.com. The Express is highly recommended for competitors who want to learn how to stage rally in Mexico before the LCP in October, since both events use the same rules. Also, the Express offers an excellent opportunity to test your car at speed, on a twisty Mexican road. It also will take only a week or less of your time. After all, we get to return to the same hotel each night and sleep in the same bed. No hunting for the hotel or driver’s meeting each night, or toting suitcases across town. What could be sweeter, the maids? Competitors towing their cars or having them transported to Huatulco in October and other interested parties are invited to participate in the 10th Annual Coyote Convoy. The Convoy will leave Laredo, Texas on Friday, October 14, a day earlier than usual. 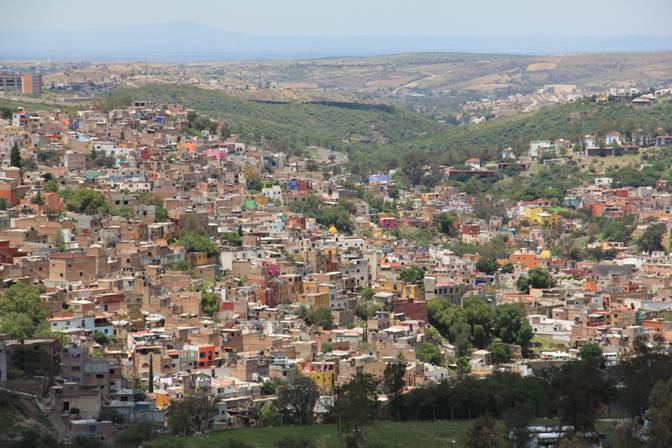 It will again stop for two nights in San Miguel de Allende for a little R & R, before going on to Oaxaca on Sunday and Huatulco on Monday, October 17. Registration and inspection do not open until the next day around 10:00 AM. Most of the competitors will import their race cars and tow vehicles with temporary tourist vehicle permits. The permits cost around $42 USD, plus a deposit of from $200-$400 USD to ensure the vehicles are exported from Mexico after the race. The deposit may be paid in cash or by credit/debit card. When the vehicle is properly exported, the deposit will be refunded. Following the end of the race in Zacatecas, the convoy, or portions of it, will return to Nuevo Laredo on Friday, October 28, at 08:00. Some of the competitors plan to return to the West coast via El Paso, Texas. The convoy is open to all competitors and spectators. It is a service provided by the North American Coordinator. According to the rules, however, competitors are solely responsible for getting their cars to the start of the race. 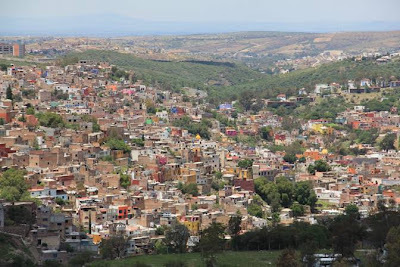 Guanajuato Crowds – this city will be crowded not because the Carrera will stop there for the night, but during this period, the city (and San Miguel de Allende) is the site of the famous Cervantino, one of the biggest music festivals in the world. Too bad we won’t have time to take in a concert. Bring your viola and join the fun! Pan Am Pre-Race Tour – nine racers, including several spouses, attended the first Pan Am Pre-Race Tour in San Miguel de Allende in early September. 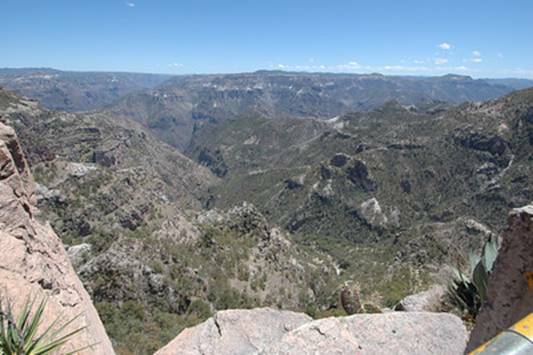 The tour included training in stage-rally navigation, plus visits to several key speed stages in the area, plus the cities of Morelia and Guanajuato. Some spouses made the best of San Miguel’s cultural attractions and spas. The tour will be offered again next year in late August or early September. Carrera Panamericana Museum Opens – in Cancun. It may not be in the center of the country or in one of the cities along the usual route, but LCP now has its own museum. Check out the official LCP home page for a nice photo. Carrera Fiesta in Carmel-- thanks to the hard work of host Bill Hemmer (Historic A+) the annual fiesta in conjunction with the historic races at Laguna Seca was an unqualified success. Around 85 people attended, along with ten Carrera cars on display. Hemmer had souvenir hats specially made for Eduardo Leon and Monica Grossman Leon, the Organizers of the Pan Am. Although they were unable to attend, the hats were presented to them during the Patrio Rally in Morelia on September 17. Promised way back in February, the rules for the 2011 LCP were finally posted on the official web site in Spanish late last month and were issued in English a week or two later. The primarily change in the rules, a concept first announced officially in June, is the limit on speed for these classes: Turismo Production, Turismo Mayor, Sports Mayor, and Historic C. The first three classes are from the highly modified Panamericana Group (1940-1954), while the Historic C cars (with V8 engines) belong to the Historic Group (1955-1965). The limits on speed are: Turismo Production (144.6 MPH), Turismo Mayor (146.6 MPH), Sports Mayor (142.8 MPH), and Historic C (142.8 MPH). 144.6 MPH=232.6 KPH, and 142.8 MPH=229.8 KPH, according to the information provided by the committee. Given the fact that there are few long straights in the current Pan Am’s route, the limit on top speed is not considered by some vets to be a significant in the outcome of the race, although it does limit the playing field (track?) somewhat, giving Historic C and, perhaps, Historic B cars (like Porsche 911s) a better chance at an overall win. This race is mostly about the amount of torque the engine produces and how it is applied. In this race, the most successful cars produce a lot of torque in the lower and mid-ranges for climbing the hills and mountains. An engine that produces most of its torque at redline, like a track car, is just about useless in this event. The new rules go into much greater detail about the modifications allowed, especially In Historic C. A special report on new the Historic C rules will be provided in the next CARRERA NEWS. Proposed North American entries for the 25th Anniversary Carrera Panamericana next year will be accepted by the North American Coordinator (NAC) in November, shortly after the dust settles from this year’s event. Application forms will be provided to this list by the end of the first week in November. Based on last year’s experience and anticipated demand, North Americans should expect between 35 and 40 slots. Applicants should remember that the Organizers, who will make the final selection, will seek to provide a diverse field. Rookies should choose their car accordingly. The views expressed in CARRERA NEWS are those of the author and may not (probably don’t) represent the views of the Organizing Committee. The author is a competitor and any advice he offers may constitute a conflict of interest. All forms of motor sports are inherently dangerous, and La Carrera Panamericana is no exception. It is a long, hard endurance race at high speeds mostly along mountain roads. Mechanical failures are common, accidents not uncommon, and serious injury and even death are possible. Crews will sign a waiver holding the Organizers harmless. Cars should be carefully prepared, with an emphasis on safety (brakes, seat belts, roll cage, etc. ), and driven prudently. Drivers and navigators should remember that the most important goal is to finish. Unless you finish, nothing else counts.